3. What date should I pay my fees by? If it is not possible for you to pay in full on enrolment, you may choose to spread payment of your tuition fees. The deadlines for payments depend on the start date of your programme. Programmes commencing between September and December 2018: at least 50 per cent should be paid by 28 September 2018 or on the date you enrol, whichever is later. Any remaining fees should be paid by no later than 11 January 2019. Programmes commencing between January and March 2019: at least 50 per cent should be paid by 11 January 2019 or on the date you enrol, whichever is later. Any remaining fees should be paid by no later than 3 May 2019. Programmes commencing between April and July 2019: at least 50 per cent should be paid by 3 May 2019 or on the date you enrol, whichever is later. Any remaining fees should be paid by no later than 26 July 2019. 4. I will be receiving a Postgraduate Loan/Doctoral Loan from Student Finance and want to use the funds to pay my tuition fee, what do I need to do? Please ensure your payments to the University are made by the following deadlines which are aligned to the dates by which you should receive your loan instalments from Student Finance. 5. Can I pay in instalments? See question 3 (or question 4 for students receiving either the Postgraduate Loan or Doctoral Loan from Student Finance). Enter your credit/debit card details and other information as required via our epayments site. For European and international students wishing to pay from another country in a different currency and potentially avoid international bank transfer fees please use our Global Pay facility. This requires a bank transfer to be sent via our agents, Western Union. Please ensure that you quote your University student reference number with each payment. Please quote your name and student reference number on the reverse. If you experience difficulties using any of these methods or have any questions, please contact the tuition fees team at tuitionfees@plymouth.ac.uk or +44 (0)1752 588130. 7. How do I request a receipt for payment of my tuition fees? These are only issued in exceptional circumstances, but should you require a receipt please email the tuition fees team at tuitionfees@plymouth.ac.uk . Please include your student reference number, details of your payment, the name of your programme of study and the academic year you need a receipt for. 8. I am experiencing financial difficulties and cannot pay my fees. Who should I contact? In the first instance, please contact the tuition fees team at tuitionfees@plymouth.ac.uk or call +44 (0)1752 588130. You can also visit or contact the Student Union Advice Centre on campus for advice. Telephone: + 44 (0)1752 588373, email: advice@su.plymouth.ac.uk. 10. I am a new applicant and I am not sure if I am classified as a Home/EU student, or as an International Student? Please see our fee assessment questionnaire for assistance. 11. I am an ERASMUS student – how do I find out what my fees are? Information for outgoing ERASMUS students. 12. I think my tuition fees are wrong – who should I contact? If you believe that your tuition fees have been incorrectly calculated, please contact the tuition fees team in the first instance, by email at tuitionfees@plymouth.ac.uk or by telephone +44 (0)1752 588130. Please provide as much information as possible. 13. I think I may have overpaid my tuition fees. Who should I contact? Please contact the tuition fees team in the first instance, by email at tuitionfees@plymouth.ac.uk or by telephone +44 (0)1752 588130. 14. I am a postgraduate student who studied for my undergraduate degree at University of Plymouth; Am I eligible for an alumni discount on my tuition fees? 15. What financial assistance is available for postgraduate students? Student Finance offer a Postgraduate Loan for Postgraduate Taught students and a Doctoral Loan for Postgraduate Research students towards the costs of postgraduate study. Postgraduate Taught students – If your course starts on or after 1 August 2018 you can apply for a Postgraduate loan of up to £10,609 for your whole course. If you’re studying for two, three or four academic years, the loan will be divided equally across each year of your course. See the Student Finance website for details of eligibility, exclusions etc. Postgraduate Research students – If your course starts on or after 1 August 2018 you can apply for a Doctoral loan of up to £25,000 for your whole course if it lasts between three – eight years. The loan will be divided equally across each year of your course. See the Student Finance website for details of eligibility, exclusions etc. Most students on PGCE programmes can receive undergraduate student funding, contact Student Finance for more information. Other options include employer sponsorship or bursaries (if you are studying eligible courses – visit the NHS Business Services Authority for more information). 16. What financial assistance is available for international students? International students at undergraduate level usually pay their own fees sometimes funded through taking out loans in their home countries. Another route is sponsorship by a Government or Embassy body. A scholarship is available for all qualifying international students – please view our undergraduate international scholarships information. 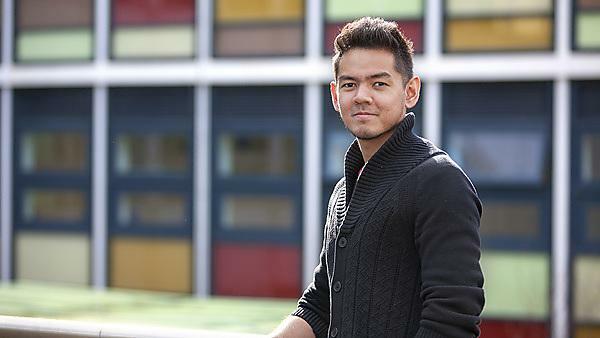 At postgraduate level, scholarships may be available – please view our postgraduate scholarships for international students information. Alternatively, sponsorship from your Embassy may be available. 17. I am thinking of withdrawing/interrupting my studies, how does this affect my tuition fee? Did you find what you were looking for? If you can’t find the answer to your query in the information provided here, please get in touch. We’ll be happy to help. Email us at tuitionfees@plymouth.ac.uk or call us on +44 1752 588130.